It uses high-strength wear-resistant shaft core，has highly efficient energy-saving，and long service life. It has good waterproof,high dielectric strenght;it is safe and reliable. 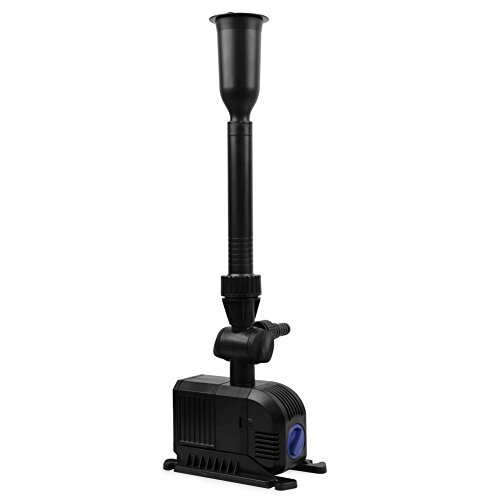 It has various functions as pumping,filter and oxygen. Apply to Aquarium Fish Tank, Pond Fountain, Hydroponic,rockery pond water circulation device matching. ★Applicable: Fountain, Garden, Pond, Aquarium, rockery pond water circulation device matching and Hydroponic systems. Suitable for Freshwater and Saltwater Applications. ★Pump strainer have sponge inside, it can filtering water impurities, in case of causing pump stuck & impeller break. Max Flow: 660GPH (2500L/H). H-Max:8.8 ft (2.7M). ★Attention:Fountain pump installation steps please refer the Amazon listing pictures. Manuals in the package are just for same series pump, not specified to each model. ★12 Month Warranty and 24 Hour Professional After-sales Service. If you have any questions about this product by FREESEA, contact us by completing and submitting the form below. If you are looking for a specif part number, please include it with your message.